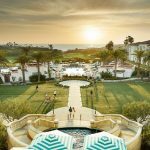 WorldHotels, a global sales, marketing and distribution company with over 350 independent upscale and luxury hotels in 50 countries, announces the addition of Monarch Beach Resort in Dana Point, California, United States of America, to its portfolio as a means to further increase its collection of luxury properties domestically. Overlooking the azure waters of the Pacific on 172 acres of land nestled along the coast between Los Angeles and San Diego, Monarch Beach Resort is southern California’s premier luxury resort. The AAA Five-Diamond retreat boasts 400 guestrooms and suites with custom-designed furnishings, spa-inspired bathrooms and private balconies. The hotel inspires its guests to live the coastal lifestyle with exclusive activities and experiences, including a private beach club, restorative spa treatments and 40 complimentary wellness and fitness classes per week at the Miraval Life in Balance Spa. Little ones can look forward to a kid’s vacation program for guests aged 5-12 years to enjoy an array of games and activities during their stay. For dining options, guests can select from eight restaurants, cafes and bars including the renowned Bourbon Steak by Michael Mina. 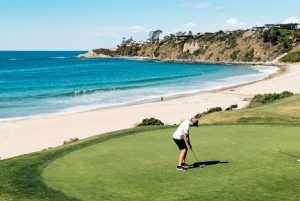 Whether it is traveling for business or leisure, guests can enjoy rounds of golf at Monarch Beach Golf Links, the resort’s 18-hole championship golf course set along the backdrop of the Pacific Ocean. Designed by legendary golf architect Robert Trent Jones, Jr., the 6,600-yard course was ranked “Best Places to Play” by Golf Digest and No.1 golf course in Orange County by the Orange County Register in 2017.